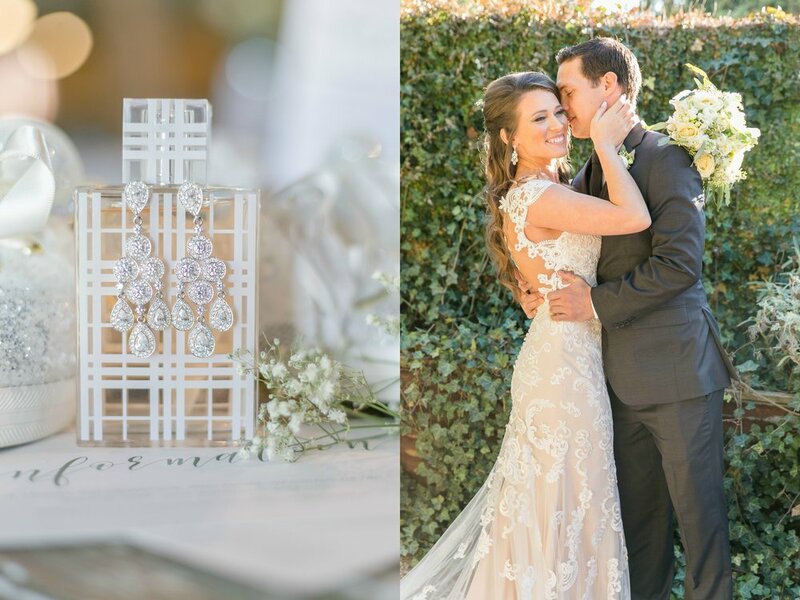 I'm so excited to show y'all this wedding today on the blog! 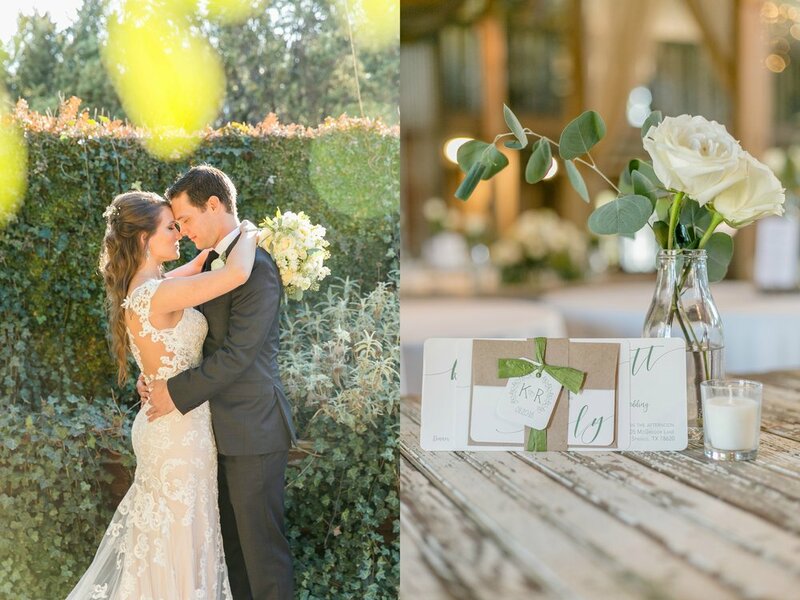 Kaila & Rhett made the most perfect bride and groom and their story is really special. My husband, Zach actually went to high school with Kaila & Rhett worked at the gym we go to in South Austin. We had no idea he was dating the same Kaila that my husband knew in high school, we would go in to the gym and talk to Rhett for a half hour at a time and he would mention his girlfriend. After about 3 or 4 months of going in to workout and talking to Rhett, we got to know a bit more about him. He told us he had previously served in the military (which I greatly appreciate because my father was also in the military) & he told us how he was planning on becoming a Police Officer. He also told us he was thinking about proposing to his girlfriend who he would mention every now and then. One day, we walked in to workout just like any other day & there Rhett was, at the front desk as usual, with a smile from ear to ear. I thought this was out of the ordinary and someone had just told him a funny joke or something had just happened funny in the gym, but no one was around him and he was just looking at Zach & I. Without waiting for us to finish saying our normal "Hey Rhett, how are you? ", he quickly and proudly informed us that he had popped the question to his girlfriend. He was very excited & we were very excited for him as well. 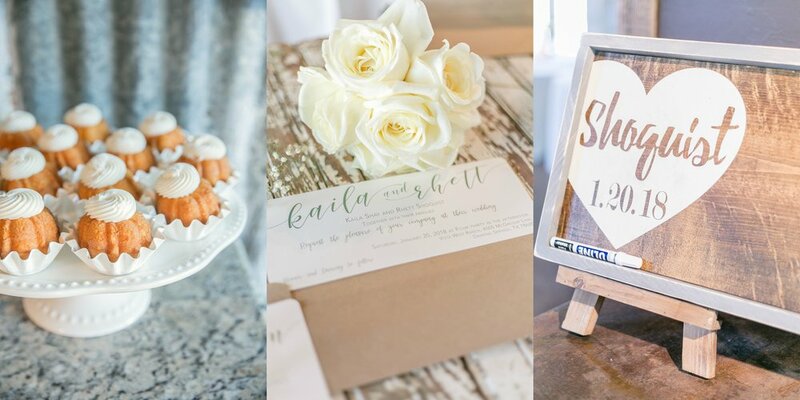 At the time, we still had no idea who his new fiance was, but soon after, I had a Bridal Extravaganza in Austin and my husband and I worked the booth as usual. Kaila & her sweet mother passed by and Zach recognized Kaila & caught up for a little while. It was then that we realized these two people who we knew were engaged to each other & we were couldn't be more excited for them! This is how Kaila explained meeting Rhett "We first saw each other in philosophy class in August of 2014. A couple class sessions went by and I got up the nerve to make small talk after class while walking to our cars. Rhett asked me on a date shortly after that. First date was on 9/11/2014. Rhett moved in with me 3 short months after we started dating. (HA)"
"On December 23, 2016 Rhett said he was taking me out for a surprise early Christmas gift. He took me out to lady bird lake trail and proposed! It was just the two of us but a couple of random people captured photos of the whole thing from a distance, which was awesome to have! 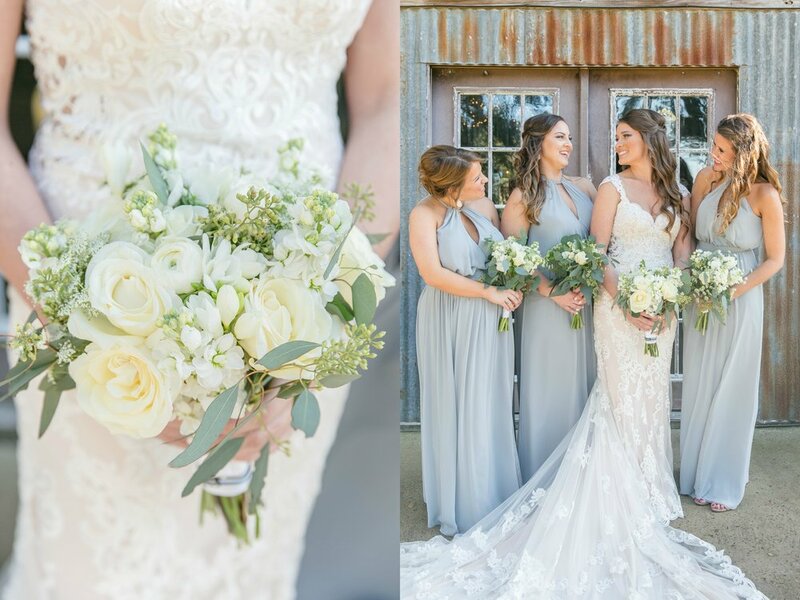 After that we went to celebrate at Perla’s on south congress where our closest family and friends were there to surprise me and celebrate with us." I am so grateful to have had this amazing opportunity to photograph these two on the most important day of their lives. The day was absolutely perfect and every detail set perfectly in place. 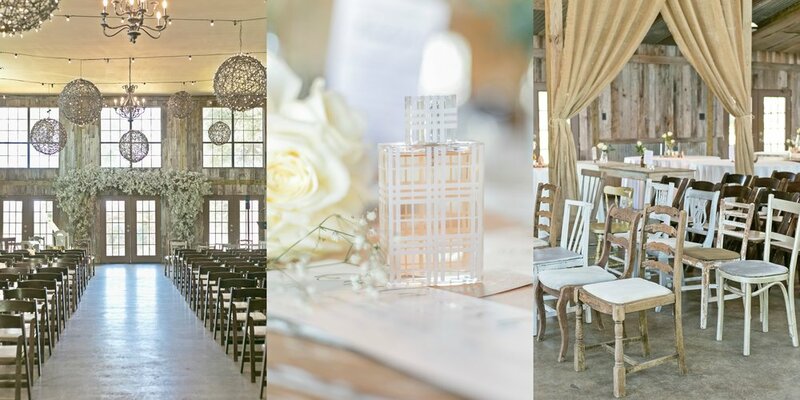 Vista West Ranch was the perfect venue for the pair set in the Texas Hill country and not too far away from Austin. The first two rows of chairs for the closest family to the bride & groom were all different & added a very eclectic feel to the ceremony area. 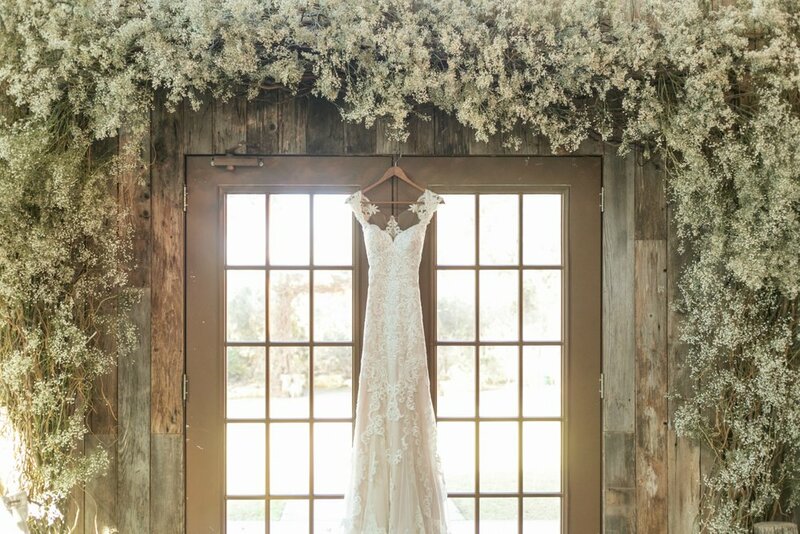 I have only photographed outdoor weddings at this venue and was so excited they decided to get married inside for their ceremony because the french doors in the back are decorated with dried baby's breath year round by the venue & the look created the most amazing arch for the ceremony! Kaila's parents were so kind throughout the entire day & it was such a pleasure being able to capture her mother button up her gown and the reaction on her father's face when they had their own 'First Look' before the ceremony where he saw her in her gown for the first time. Kaila & Rhett are very laid back and truly light up when they are around each other. 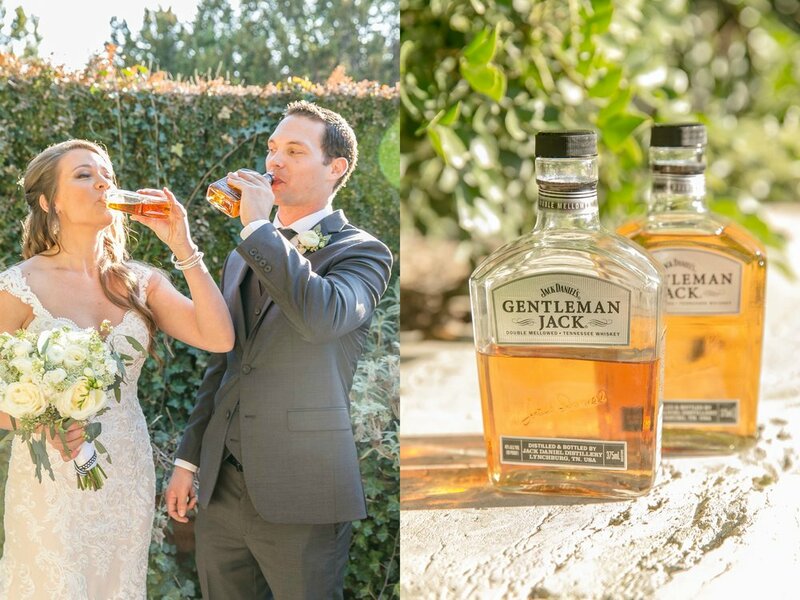 They even took a shot of Gentleman's Jack before the ceremony to ease their nerves, which proved to be a great photo opp. Kaila also gave me her parent's original weddings bands to photograph and tied them on to her shoe laces during the ceremony. Shortly after they booked me as their photographer, Rhett left his job at the gym to join the intense Police Officer Training program in San Antonio in order to pursue his new career. Kaila showed her support of his decision and dedication by tying a band around the flowers- a ‘thin blue line’ bracelet, which is displayed to show support for law enforcement. When I arrived at the venue, Kaila gave me her box of detail items & explained that the $2 was included because her Grandfather Janssen, who passed away in 2008, had always gifted her and the other grand kids with a $2 bill every Christmas and she still has all of them. I thought that was really special & I loved that she included it in her detail box to be photograph because it was so special to her. It's almost as if Grandpa Janssen was there that day, just looking over the couple. I have to point out how adorable these two flower girls are! They were so sweet with each other & looking out the window as guests arrived. Kaila was extremely smart and stylish at the same time - just look at those Kate Spade glitter shoes! While the ladies were finishing up getting ready, Rhett and his groomsmen were having fun playing 007 and the 'Ring Security' was showing me how they listened to their radio in their ear regarding protecting the rings at all costs - seriously the best idea for ring bearers I've ever seen! One of the boys informed me they only stand up straight for photos with their hands behind their back, not in front. As the ceremony began, Rhett let the moment overtake him while watching his beautiful bride walk towards him and began to tear up. 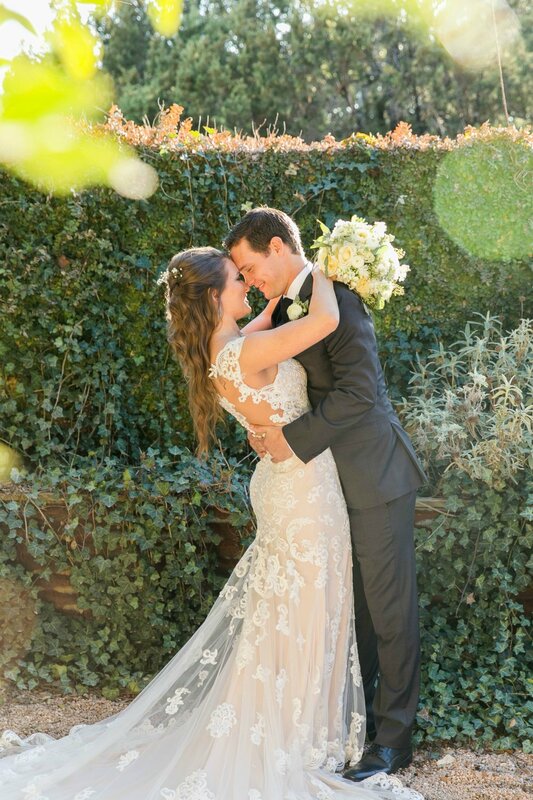 Kaila was simply glowing & ready to marry the love of her life. As the ceremony continued, it was hard not to tear up myself behind my lens and the couple kissed to seal the deal. They walked down the isle as Mr. & Mrs. & were applauded in their new chapter of life. 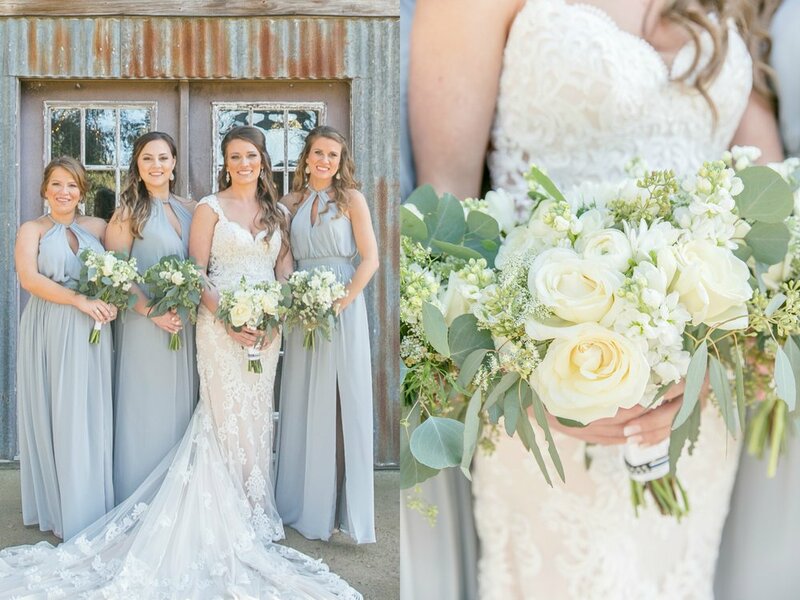 They were soon surrounded by the grand scenery of the natural Texas hill country just as the sun was setting behind the newly married couple. They stood there in the tall grass, taking in the moment that had jsut happened.